(BEIJING 13.11.2008) – A historic 12-day Aboriginal China trade mission was very warmly received at the highest levels in China over the past two weeks. Culminating with a November 13 press conference in Beijing featuring an MOU Signing Ceremony with a senior Chinese Minister, the Aboriginal business delegation included prominent Chiefs and senior Aboriginal business leaders representing Canada’s Aboriginal peoples and organizations. They traveled to Chongqing, Shanghai, Xi’an and Beijing. The trade mission was organized by RCI Capital Group Inc. (“RCI”) and the Native Investment & Trade Association (“NITA”).RCI Delegation Chair and NITA President Calvin Helin said that Canada’s Aboriginal people own or control up to one-third of the natural resource rich Canadian land mass. “We have huge tracts of land that are rich in natural resources. Our lands are full of oil, full of diamonds, full of iron ore and ripe for responsible and sustainable development, but there is a need for infrastructure, capital investment and value-added expertise. We are here to tell China that Aboriginal Canada is open for business. We need to create mutually beneficial economic ties to lift the living standards of both Canada’s poorest population (1.5 million Aboriginals) and China as a still-developing country. In doing so, I firmly believe Aboriginal Canadians can help unleash a new era of wealth creation that will not only benefit Canada’s indigenous people but all of Canada.” Helin is a proud member of the Lax Kw’alaams Band of the Tsimshian Nation. He wore the traditional red and black colours of his nation on a robe decorated with his family’s crest at all official meetings with Chinese government and business leaders. Chinese business leaders and officials regarded highly the fact that Aboriginal Canadians displayed their culture and spirituality at all business discussions and social gatherings. Grand Chief Morris Shannacappo, a new generation of leadership representing 36 indigenous communities from southern Manitoba, opened each presentation with an Eagle Feather and a somber traditional prayer. The prayer – recited in his native language – garnered great interest and respect from the Chinese leaders in attendance. Grand Chief Shannacappo said that “We have the utmost respect for ancient Chinese culture and civilization and we were so pleased that our sincere respect was genuinely reciprocated.” Alex Nitsiza, respected elder and Chairman of Tlicho Investment Corp. said “We can sense history being made for great benefit of our future generations.” The Tlicho Government owns the Tlicho Investment Corporation in the Northwest Territories. Its assets include “lock, stock and barrel” ownership of one of the most natural resource rich areas of land in Canada covering 39,000 square kilometers. Also while in Xi’an, delegate company Terrasphere Systems executed a significant Letter of Intent with the Government of Shaanxi Province Investment Promotions Bureau, Yangling Agriculture Hi-Tech Industry Demonstration Zone Deputy Director Mr Ming Tao. “Terrasphere is a patentprotected environmentally friendly state-of-the-art agriculture production technology developed in Vancouver and Boston that will enable China to mass produce safe and clean 100% organic fruits and vegetables year-round with a 10 times per square foot ratio that of traditional greenhouse methods and without the use of pesticides;” explained Squamish Chief Gibby Jacob. Nick Brusatore, Chief Designer of Terrasphere’s innovative technology commented “It’s amazing to feel part of something historic afoot here.” Terrasphere is a strategic partner of British Columbia’s Squamish Nation near Whistler B.C. Also while in China, the delegation participated at the 30th Anniversary meetings of Canada-China Business Council and a parallel mission by 4 Canadian premiers, the China Mining Expo and numerous private sector and government meetings arranged by RCI. They also were met by Canadian Ambassador Robert Wright and officials at the Embassy of Canada on November 12th. The mission culminated in a private dinner reception at the historic Diaoyutai State Guest House Compound in Beijing on Nov. 12th. Chinese People’s Association for Friendship with Foreign Countries (CPAFFC) President Mr. Chen Haosu (民 间 外 交 论 – 陈昊苏) hosted the delegation along with a cross section of high-level Chinese government and corporate leaders. Chen, Chinese Minister of Foreign Relations, offered to sponsor a major Aboriginal business and cultural delegation to follow-up in the new year and arranged to sign an MOU with NITA and RCI as part of the delegation’s 3PM Nov. 13th press conference to be held at CPAFFC’s office building near Tiananmen Square. The Canadian delegation also invited Chen to organize a Chinese business delegation to come to meet Aboriginals across Canada in mid 2009. Congress of Aboriginal Peoples National Chief, Patrick Brazeau, emphasized the significant opportunity that the RCI Aboriginal Business Opportunity China trade mission offers Canada’s Aboriginal community. “Canada’s Aboriginal community is indeed open for business. The ties our peoples have been able to forge with potential economic partners in China through this trade mission are equally valuable to our respective trade efforts. We need to build on the momentum this mission has created. There’s much opportunity for us to share our histories, our cultures and our economic opportunities. In a global economic environment fraught with challenge, we remain encouraged by the success of this trade mission. We’re determined to strengthen our economic ties to the Chinese market, and we’re thankful for the significant efforts the Government of China plus RCI and NITA applied to make this mission a success,” said National Chief Brazeau. RCI is the largest manager of investor immigrant capital in Canada. It has been in business since 1996 with John Park as its founding President and Managing director. RCI now has over 68 employees with offices throughout Canada and Asia. It currently manages approximately $1.6 billion in investment capital for over 4,600 high net worth investors who have entered Canada, the majority of them from China. RCI has extensive experience in doing business with China, and has offices in Beijing, Shanghai, Hong Kong and Guangzhou. The company has previously generously donated to the Shudokan Canada Karate and Education Society‐‐an initiative intended to help inner city (particularly Aboriginal) children and youth through training in martial arts and self‐discipline. NITA is a non‐profit society founded in 1989 to promote economic self‐reliance and strengthen Aboriginal participation in the mainstream economy. To carry out this mandate, it has organized approximately 100 national events throughout its history, and promotes partnerships between Aboriginal and non‐Aboriginal business interests. CPAFFC is a national people’s organization of the People’s Republic of China. The aims of the Association are to enhance mutual understanding and friendship, promote exchanges and cooperation in the political, economic, trade, scientific and technological, social, cultural, educational and other fields between the Chinese and other peoples, and safeguard world peace. The CPAFFC, on behalf of the Chinese people, establishes links and carries out exchanges with friendly organizations and personages of various countries. In its activities, it has the assistance and support from the Chinese government and all sections of society. It has established relations of friendship and cooperation with more than 370 non-governmental organizations in about 120 countries. Shellfish processing plant in Lax Kw’alaams; export of forest products to China. Lax Kw’alaams Band own and operate Timber Forest License 1, the sixth largest Tree Farm License in British Columbia. Currently logs and lumber products are shipped to China and they wish to expand Chinese market by building long term working relationships. Lax Kw’alaams also own and operate a 40,000 square foot fish processing facility. Their location is near Prince Rupert, the terminus for the northern route to the Pacific Gateway that travels directly through their traditional territories. They are looking to strategically advance their role in export/import infrastructure in the region. Federal Crown Corporation (Government of Canada) operating a shipping terminal for coal and other commodities with a total annual capacity of 12 million tons, which can be expanded to 24 million tons. Looking for capital investment to expand the facilities. Located adjacent to the Port of Prince Rupert, recently transformed super-port on the Pacific Gateway and the closet port to the China market. The Squamish Nation is exploring new ways to adapt to the changing conditions in the forestry sector. Timber Forest License 38 is a forest tenure managed and operated by the Squamish Nation. It is a part of their history to be innovative and demonstrate the strength of their historical values, patience, and quality production, by becoming leaders in sustainable forestry practices while also realizing benefits of productive lands such as TFL 38. The tenure holds hemlock, balsam, and the occasional high-end cedar in some rugged terrain that is managed strategically for harvest planning to ensure economic viability, and carry production into future generations. Another initiative the Squamish Nation will be highlighting is Terrasphere (see Brusatore below). Company design and manufacture agricultural systems. Interested in licensing TerraSphere Systems technologies to Chinese company. TerraSphere is a new sustainable farming system that allows high food production in areas with little arable land, and requires both low electricity and water use. This growing process could be adopted throughout the world and see a new vision in food production that provides fresh herbs, medicinal plants, and vegetables close to market, with little to no environmental impacts. These are practices that the world can adopt and embrace and that we hope to share with new markets to create a new vision of sustainability and prosperity not only for the Squamish Nation but for Canada as a whole. A diversified investment company with business in mining services, construction, trucking, engineering, community service and $100 million annual revenue. Have title to a large piece of land rich in diamond, gold, bismuth and cobalt. Interested in attracting investment in hydro power facilities, private toll road facilities supporting the mining industry. Drilling and infrastructure construction. Owned by NWT First Nations. Looking to attract investment from China in major infrastructure, resource exploration and communications. 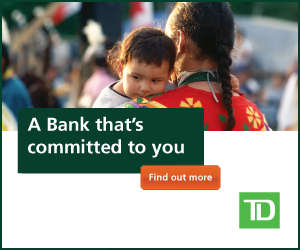 Denendeh Investments Inc. is owned by the 27 Dene First Nations in the Northwest Territories. Denendeh Investments Inc. will be looking to secure Chinese investment in drilling and infrastructure construction such as a road that would run through the Mackenzie Valley from Wrigley, NWT to Tuktoyaktuk on the Arctic Ocean, (so Canada can be connected by road from Sea to Sea to Sea), thus opening up other investment and development opportunities in the Mining, Oil & gas sector which would provide jobs and training and business opportunities for local Aboriginal Communities crippled by unemployment and high food prices. Denendeh is also be looking to explore opportunities for major investment and partnership in the Real Estate, Mining, Oil & Gas and alternative energy sectors. NWT is rich in natural resources. Diamond production exceeded $1.7 billion this year; gas reserves estimated at 120 trillion cubic feet; large undeveloped gold deposit; large uranium and rare earth deposit. Looking for capital investment in resource development, explore mineral markets trade route to China, energy development including hydro power project. Cooperation in oil and gas industry, environmental projects. An aboriginal financial services provider. Business include business development loans, employee benefit loans, and call centre services. Looking for capital investment in a new “On-Reserve Mortgage Program”. First Nation Forestry LP and Peguis Development Corp. as main operating arms, owning allowable cut area of 16,000 km2 with 600,000-700,000 cubic feet of hardwood supply. Looking for investment, trade in forestry industry. Aboriginal organization promoting political, social and economic interests of 40,000 Métis in Manitoba. Current business include exporting fish to China. Exploring business investment and human resources opportunities in the mining sector and fisheries. National voice of off-reserve Aboriginal people throughout Canada, advocating for the rights and interests of off-reserve and non-status Indians and Métis people. General interest in economic cooperation with Chinese investors.